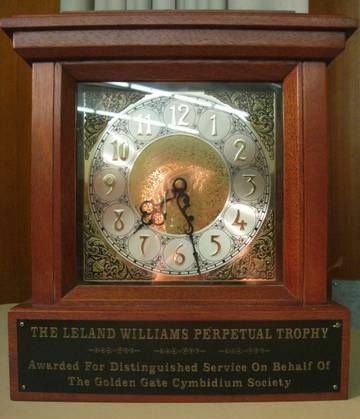 The Leland Williams Perpetual Trophy is awarded during the July Potluck Dinner-Auction for distinguished service to the club by one of it's members. 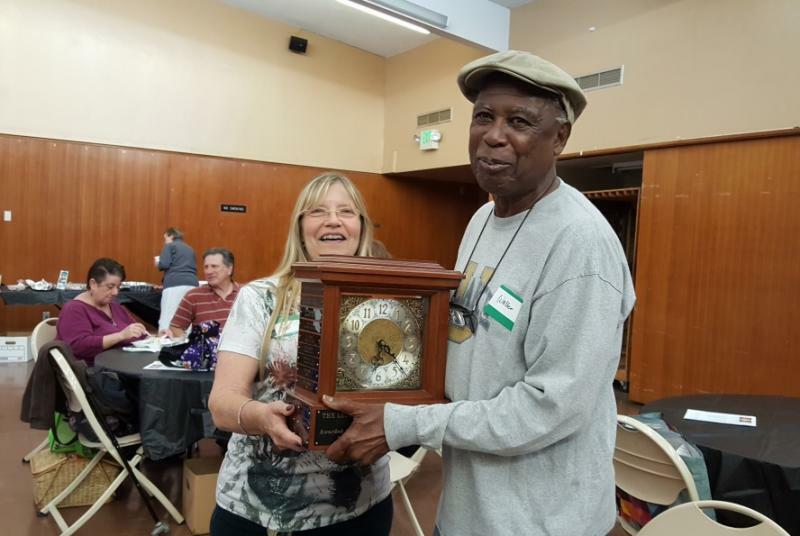 This trophy is a beautiful, one of a kind clock with engraved plaques of the past winners. Ballots are available at the meetings for you to vote for your favorite people. Winner for the Leland Williams Award for Outstanding Service to the Golden Gate Cymbidium Society for 2018-2019 is Walter Blake, our Super Newsletter Editor ! !